Happy New Year! The arrival of the new year means that it’s the right time to reflect on what you can do to make 2016 your best year yet. If you’re an apartment dweller, there are a myriad of ways in which you can improve on 2015 and make your apartment feel like an actual home. That’s why we’ve put together a list of 5 apartment resolutions to keep in 2016 to make it the best year ever. Read on to see them all. Instead of living in an apartment building, live in an apartment community in 2016. That means actually getting to know your neighbors instead of just politely nodding at them as you pass in the hallway. Resident events, if your building has them (West Broad does), are a fantastic place to meet your neighbors and actually have a conversation. Or if you’re just moving in, showing up at your neighbor’s doorstep with a plate of cookies is never a bad idea. Even if you don’t become best friends with your neighbors, you’ll still feel more at home when you know who is living around you. Sometimes we can get stuck in a rut with the way our apartment looks. It’s important to mix up your home decor every so often to keep your apartment feeling fresh and modern. You don’t have to totally redecorate, but adding a colorful painting or rearranging your furniture can make a huge difference in how your apartment looks and feels. It’s time to finally use that gourmet kitchen that came with your luxury apartment, instead of just ordering take out. 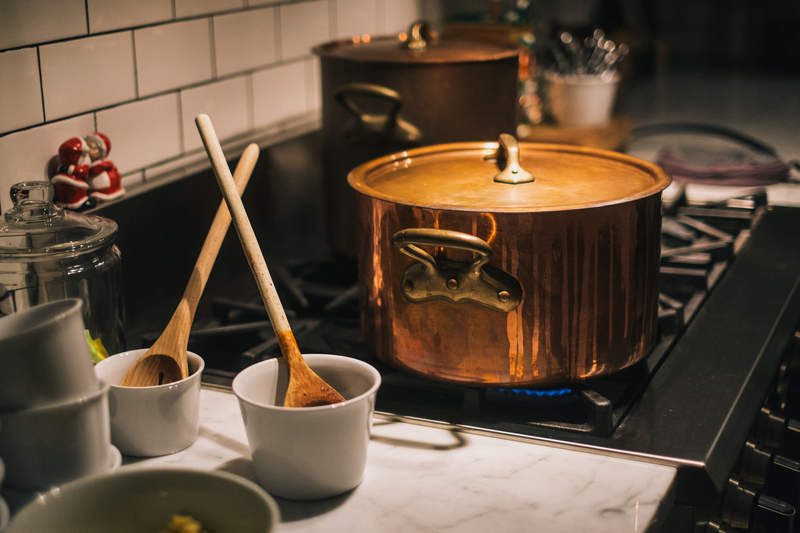 Take advantage of your granite countertops and stainless steel appliances by looking up a recipe from your favorite chef, cookbook, or website and cooking yourself a nice meal at least once per week. Breaking in that kitchen of yours will fill your apartment with gorgeous smells and will make it feel more like an actual home. One of the most popular New Year’s resolutions every single year is losing weight. Luckily, when you live at West Broad, or any apartment building with it’s own gym, achieving this goal has never been easier. All you need to do is actually get into the routine of using your in-building exercise areas. If you combine this with using your kitchen to make healthy meals more often, you’re well on the right track to achieving your weight loss goals in the new year. Perhaps the best way to turn your apartment into something that feels like home is to put a little bit of your own sweat and creativity into it by making your own apartment decor. It doesn’t have to be huge if you’re not the crafty type, but doing a little DIY will add a personal touch to your apartment that’s impossible to ignore. If you need a little inspiration, try these 33 DIY projects perfect for apartments. Get excited for the new year by sticking to these 5 new apartment resolutions that you’ll actually be able to keep in 2016. We’re really excited for 2016 here at West Broad, because we’ll finally be able to welcome our first residents! Want to be one of those residents? Contact us today to learn more about pre-leasing a luxury apartment in Falls Church, VA.